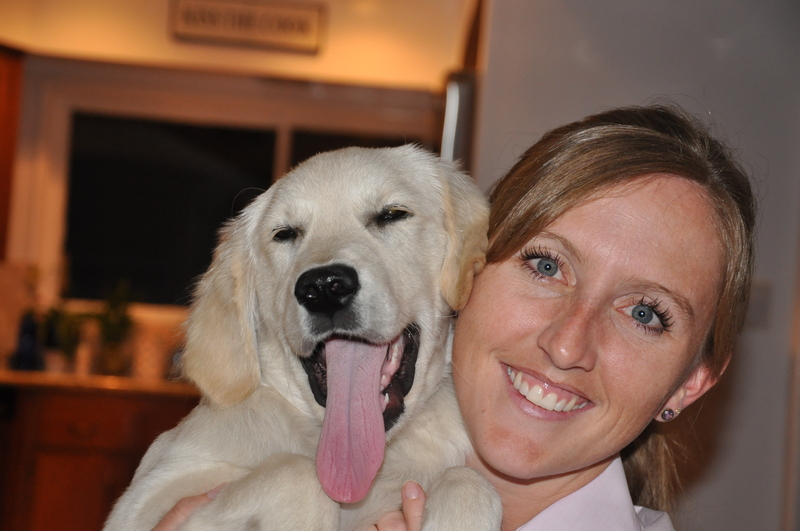 Apparently my new thing is sticking out my tongue….. i’m not panting, overheated, or really relaxing… just having fun. Of course I lick everything… I am a puppy. I smell AND taste, sometimes at the same time. 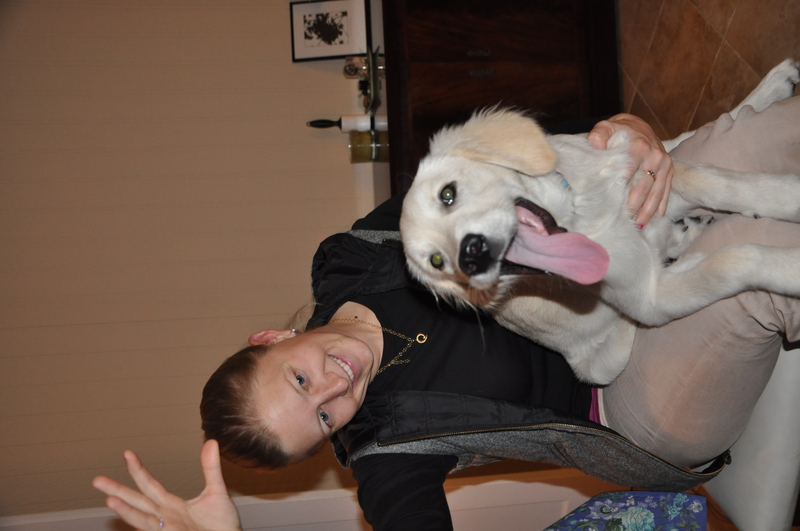 This is mid-play with mom…. and below is mid-relaxation with auntie HAC. I’m still working on the DOWN command…. I like to lay DOWN, but then I don’t stay there… i JUMP DOWN, and then pop right back up. I will be working more on it soon. i like up right upper lip in the picture with you!!! so funny! !